Sculptural leather island / centre piece inspired by Japanese Wabi-Sabi aesthetic. 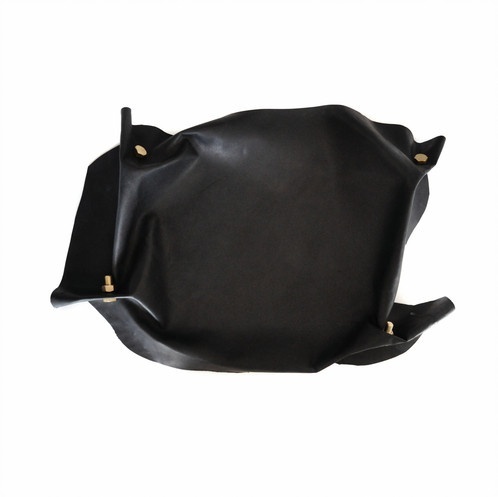 Craftedfrom one piece of vegetable tanned kangaroo hide - the ultimate luxury leather. Sculptural leather island / centre piece inspired by Japanese Wabi-Sabi aesthetic. Craftedfrom one piece of vegetable tanned kangaroo hide - the ultimate luxury leather. Constructed with solid brass hardware. Presented in a matt black cardboard box with hand applied gold wax seal.